Italian manufacturer PFM has delivered the first of its new Sirio flow-wrappers in the UK to family-run Scottish bakers Tunnock’s, Uddingston, Glasgow, where it is now employed on a range of multi-packs and seasonal goods. 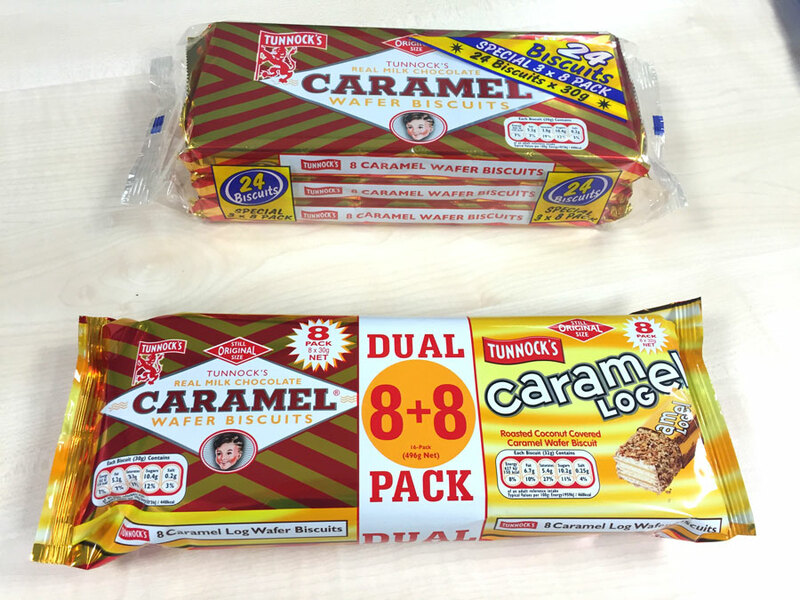 These include Tunnock’s renowned caramel wafer biscuits in 2 x 8 and 3x 8 formats as well as Christmas gingerbread spirals and even a delicate 100mm long chocolate coated meringue finger weighing just 50 grams. With a variety of goods to handle, the stainless steel food-standard machine was chosen, says managing director Boyd Tunnock, for quick changeover and hygiene. “Our previous machine was hard to adjust from one size to the next and needed an engineer,” he explains. “We wanted a wrapping machine that we could adjust much more easily and would be easy to clean. “Each product has its programme held in memory for press-button set-up with the folding box simply adjustable by handwheel. The whole operation is so easy to use: we’re enjoying it,” he adds. The Sirio is an ultra-hygienic flow-wrapper developed by PFM using an innovative machine build system that allows much easier and more effective cleaning than traditional designs. In place of the usual welded frame that supports principal machine components, the new IPS (independent perimeter support) approach from PFM employs a tubular stainless steel frame that not only provides support, but acts also as a conduit for electrical and electronic cables. In this way, the electrical cabinet is kept completely separate from the rest of the machine, potential dirt traps are virtually eliminated and steam cleaning is secure. Speed is up to 160 a minute.